Senior Community Constable Harley North updated the Gold FM Police File this week. Listen in to our podcast to hear the full details. Tuesday 8 January An 18 year old Waihi male was arrested for breach of curfew at a Martin Road address. Police attended a residential burglary at a Broadway, Waihi Beach address. A bicycle was stolen. Another burglary occurred at a Poland Street, Waikino address. Cell phone chargers and a blender were stolen and a third burglary at a Golden Valley Road address also happened where tools and food items were stolen. A 35 year old Netherton male was processed for drink driving after a single vehicle crash at SH2 Karangahake. The vehicle crashed and rolled and the driver left the scene however he was located a short time later walking along the roadside toward Paeroa. The result of the evidential breath test was 811 micrograms of alcohol. A 28 year old Waihi male was arrested for serious assault after a historic family harm incident. It is alleged the male repeatedly punched and kicked a female at a residential property on Wrigley Street. A burglary at a Ngatitangata Rd address, no property appears to have been stolen. Offender(s) have forced entry by breaking a lock to a woolshed. The same property was targeted approximately 2-3 weeks ago and a bicycle was stolen. A 41 year old Waihi male was arrested for a serious assault after a family harm incident at a SH2 Waihi address. It is alleged the male threw a table at a female victim and caused a significant laceration to her head. The female victim was hospitalised. The male will be appearing in Court soon. A 37 year old Athenree woman was arrested for breach of the peace during a family harm incident at a Kotounui Road address. A 42 year old male was arrested at a Bowentown address for a historic family harm incident. Whilst there police located several Cannabis plants which were seized. A 27 year old Tauranga female was arrested for serious assault in relation to a historic violence incident at Waihi Beach Hotel. It is alleged the female punched a another female in the head and face area in an unprovoked attack. Police attended three residential burglaries in the Waihi area. One at Broadway, Waihi Beach overnight where an unsecured garage was entered and wallets and cell phones stolen. Another at Waione Avenue, Athenree where entry was gained to an unsecured garage and keys were stolen and another at Abbotts Road, Waikino where keys were stolen. The Waihi and Beach areas have seen a significant spike in residential burglary over the Christmas and New Year period. In particular Waihi Beach has been targeted. The common denominator for a lot of these burglaries is that the offenders have gained entry by simply walking in through unsecured doors and windows. A lot of these burglaries may have been prevented if occupiers had taken a simple precaution and secured their homes at night. It’s easy to become complacent this time of year when on holiday, but everyone must stay vigilant. Lock up always. Report all suspicious behaviour to police 111 immediately, not days after. 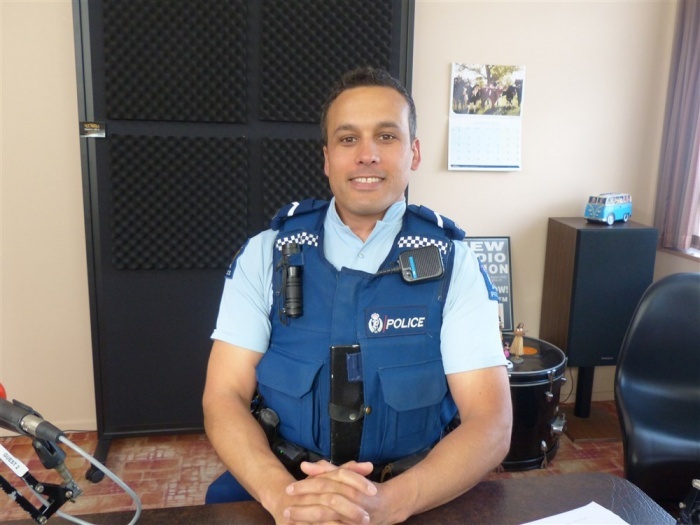 Waihi Police are interested in any information relating to crime. For non-urgent matters or enquiries contact Police 24/7 on 0800 780 101 (ask for the Crime Reporting Line) or to remain anonymous call Crimestoppers 0800 555 111. Waihi Police Station public counter will be generally closed over the next few weeks while we hire a replacement station support officer. Although police officers are available 24/7 and we can come to you or meet at the station. For urgent matters call 111 and ask for police.